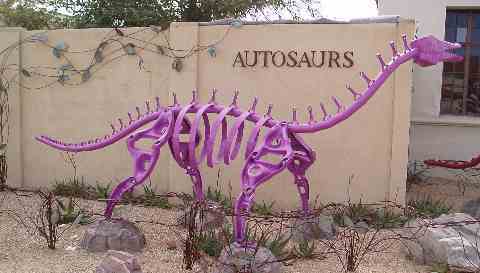 The Mesa Southwest Museum (Arizona Museum of Natural History) is one of the best museums for dinosaurs in the southwest. Are you excited when you get to see something new? The surprise is on the inside. You’ve seen dinosaurs before. And lots of skeletons. This place makes them interesting. The center of the museum is “Dinosaur Mountain.” This is a three story exhibit that can be viewed on many different levels. It shows what the animals looked like when they were roaming the earth. You will probably hear the mountain first. The show begins with the sounds of crackling thunder and the flashes of lightning. Then the flood starts. Every 23 minutes or so there is a “flash flood” and water will roar down Dinosaur Mountain. Very fascinating to watch. It’s interesting, fun, and well built. Then there are exhibits about the southwest. 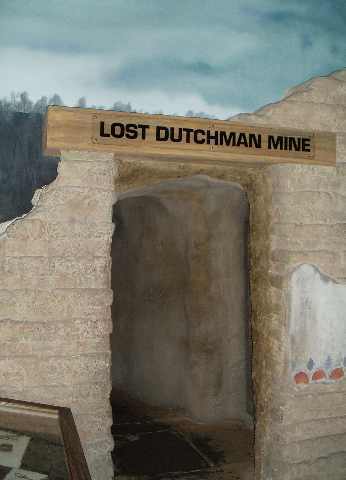 Still looking for the “Lost Dutchman Mine?” Well look no further, here it is at the museum. For more information about gold in the Superstitions check out the Superstition Mountain Museum east in Apache Junction. While you are at it look at the Mesa Jail that housed people from 1884 to 1975! 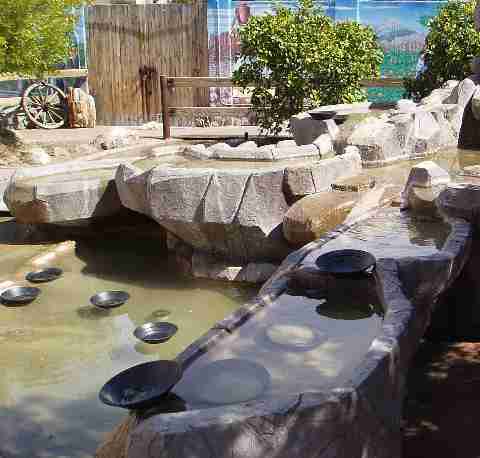 Then around the corner in the courtyard you can brush up on your gold panning skills. 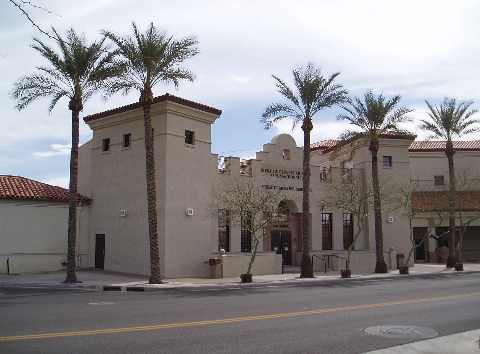 The museum is located in the heart of Mesa just north of Main Street, at 53 N. Macdonald. Keep coming back and checking for new exhibits! Check out the Paleo Dig Pit where kids can get on their hands and knees and discover fossils. Activities are more fun than looking at dusty pots in glass cases. You might even want to join the kids and grab a brush and see what you can find. Some exhibitions come and go so there is something new all the time. For hours and days of operation and new exhibitions please see their website at Arizona Museum of Natural History. See the map below if you need it. Phone (480) 644-2230.